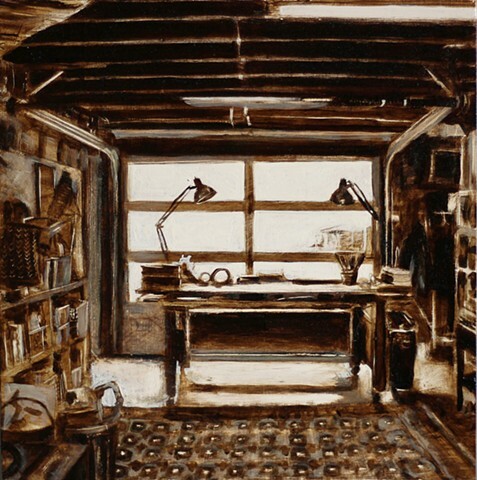 Email H E R E for a catalog! 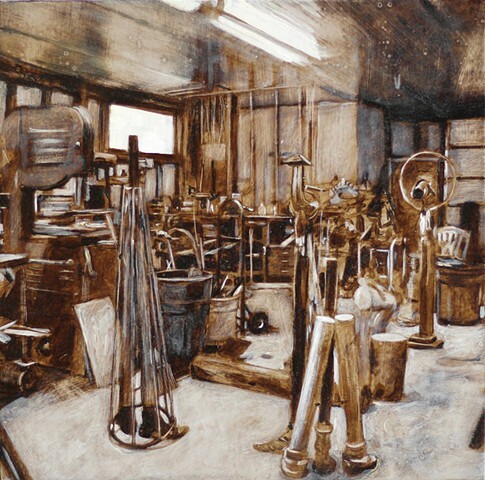 Destructive Distillation is the decomposition process of unprocessed material by heating it in the absence of oxygen. 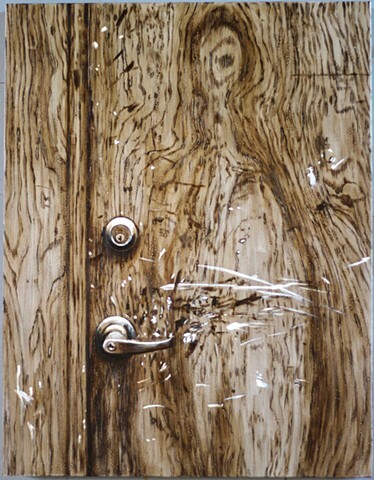 Over millions of years, nature grinds inexorably toward its own essence. 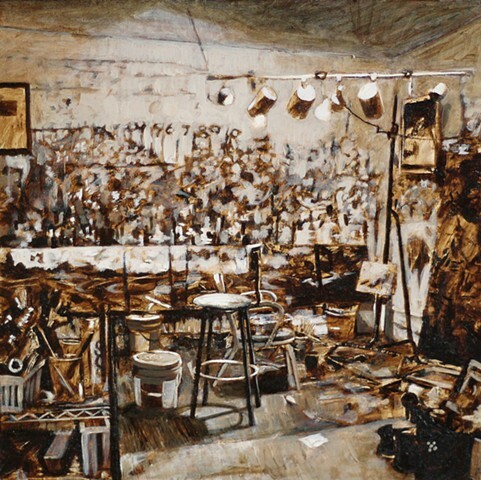 Trees die, becoming compost and peat, and eventually — starved of oxygen — tar. 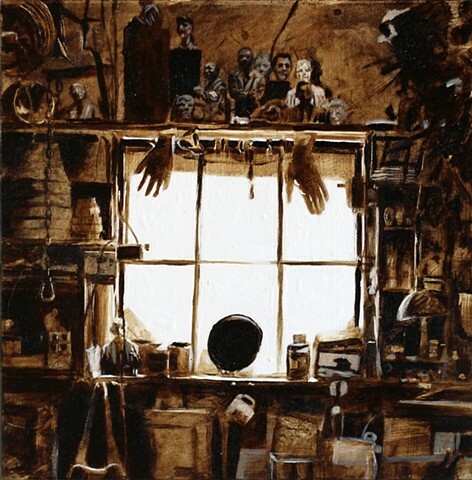 The tar for roads and rooftops is made by people speeding up that process in a controlled way by heating coal, wood, petroleum or peat in the presence of no oxygen to the point when the only thing left after all of the molecular bonds have been broken down is tar. 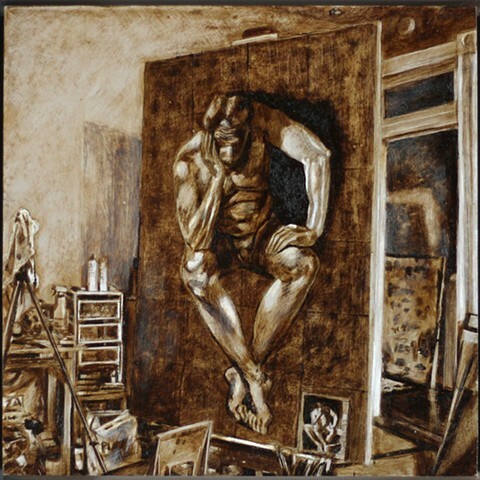 25 years into my career as an artist, I am retracing my steps - not for the sake of nostalgia - but to dismantle the structure of my work. 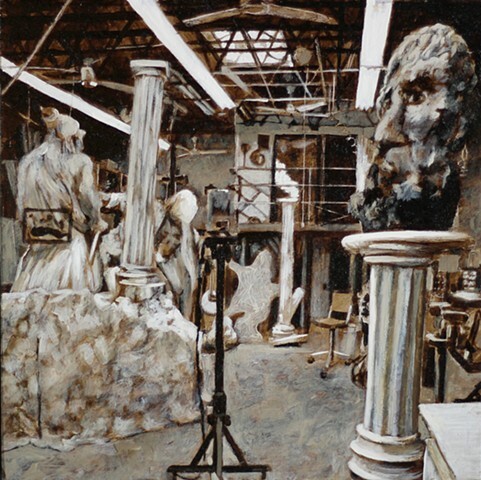 This particular numbered anniversary made me really conscious of where I was, who I met, and the materials I used during that time and how they helped direct my career. 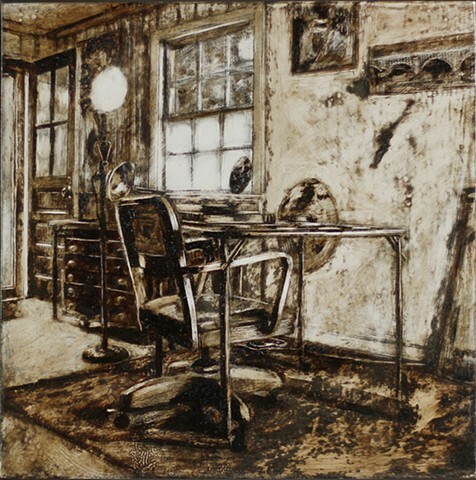 Using only tar on enamel on wood, I am boiling down and choking off the essentials of my own work. 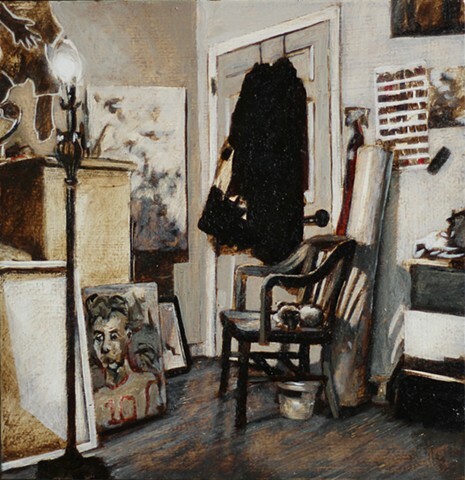 Depicting studios and physical environments in which other artists engage in their own processes, I am stripping away my habitual essentials of color, whimsy, and ego to squeeze out what is left. 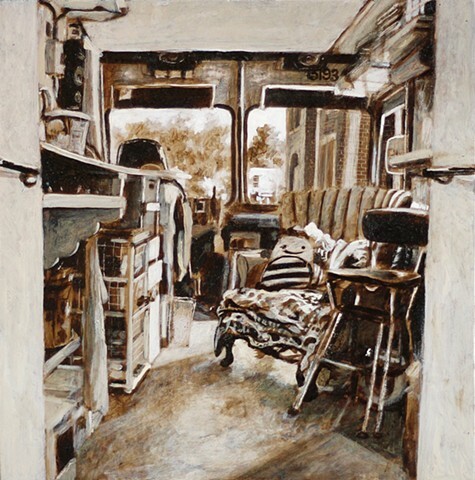 I am removing everything that has informed my work along the way: voices of teachers, fellow artists, collectors, galleries, family and friends and my own thoughts. 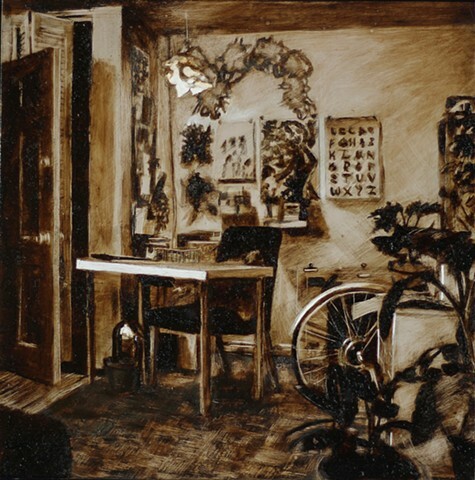 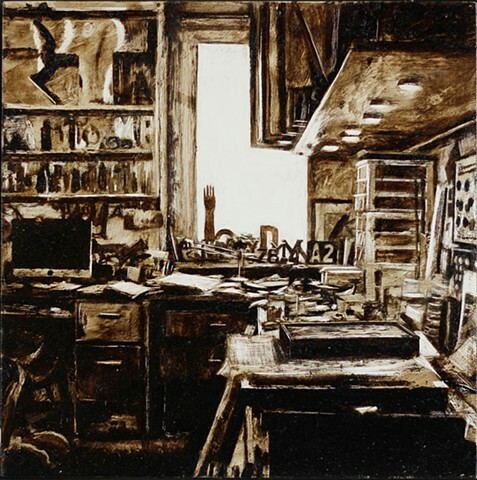 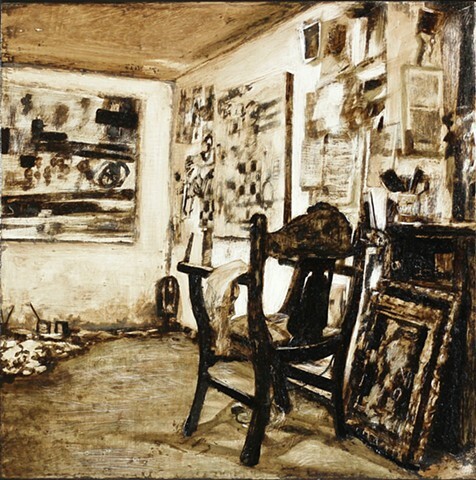 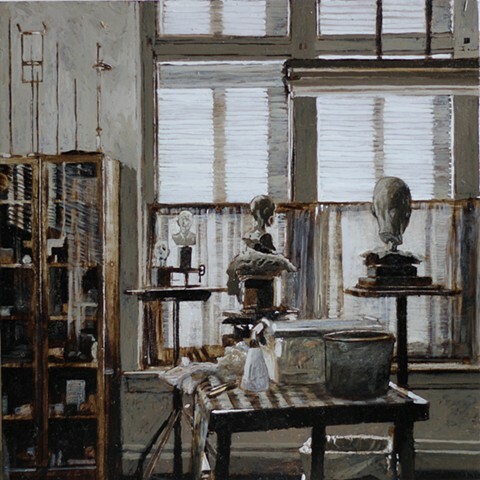 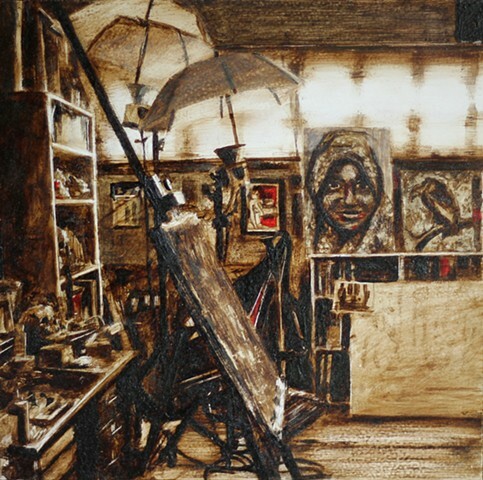 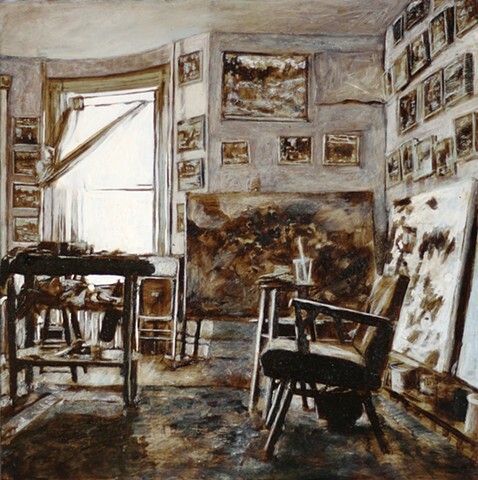 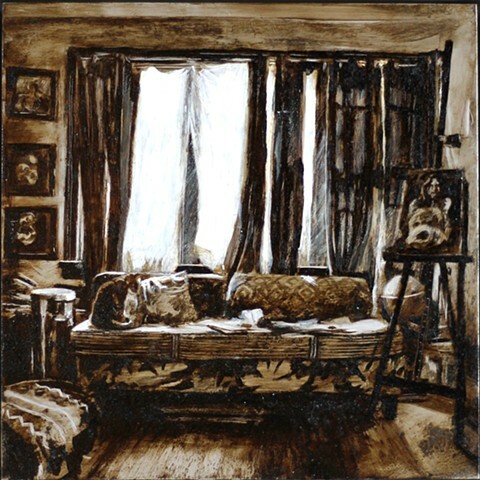 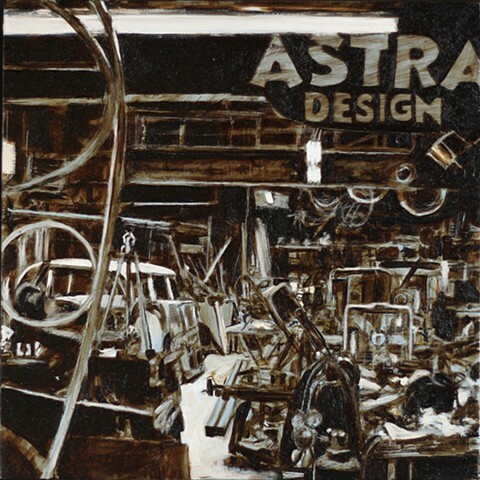 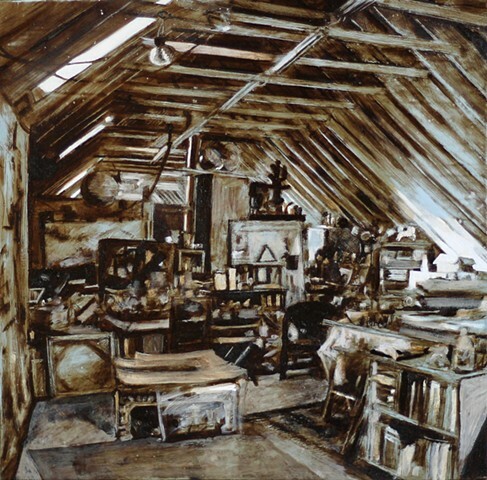 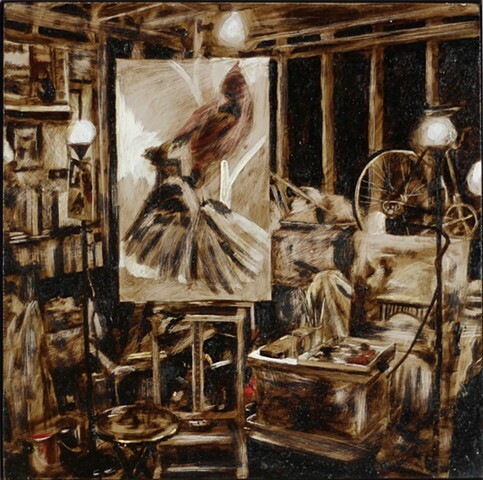 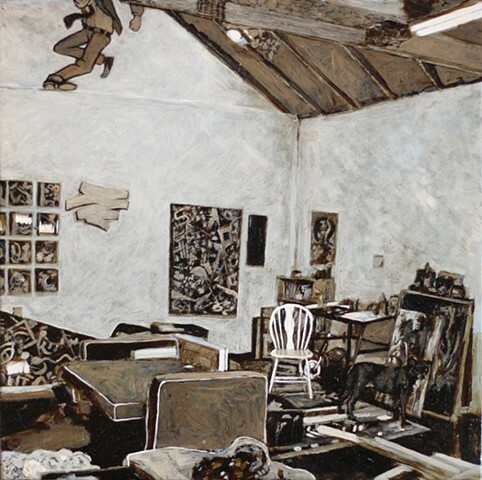 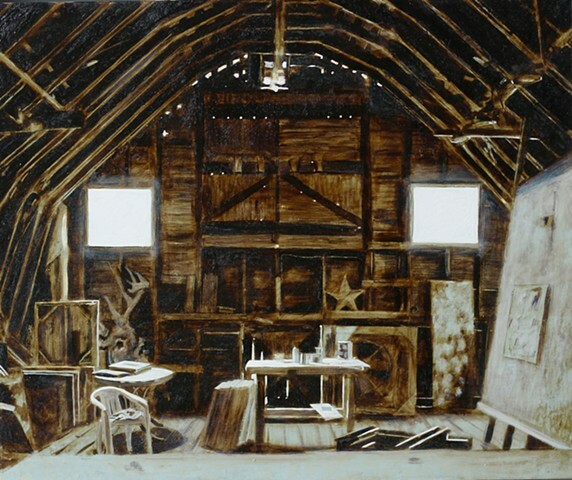 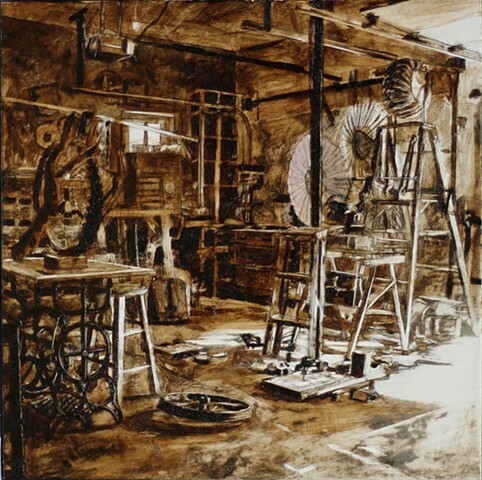 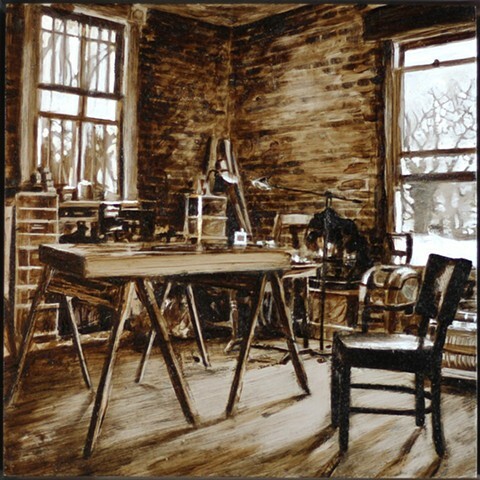 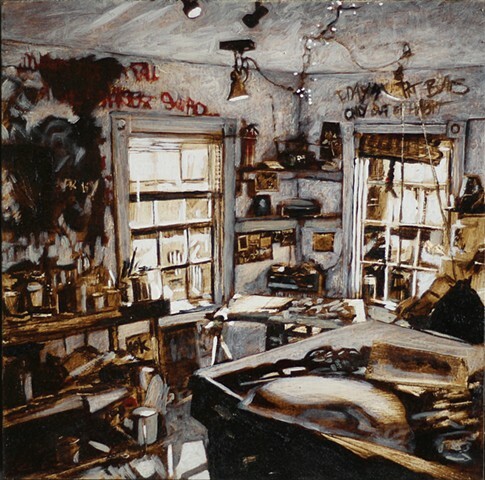 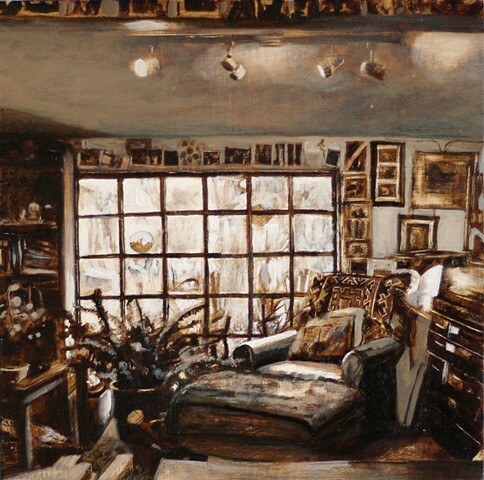 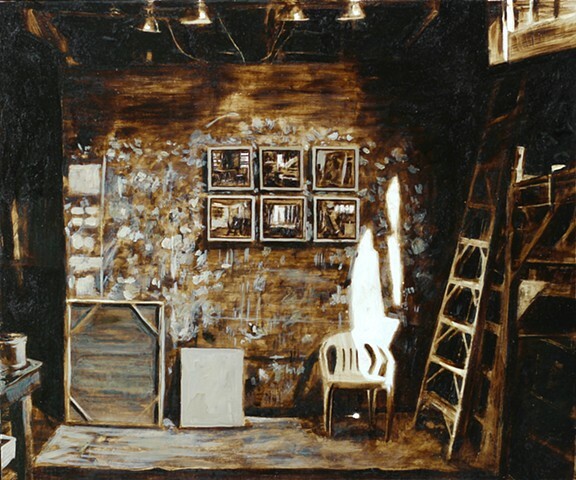 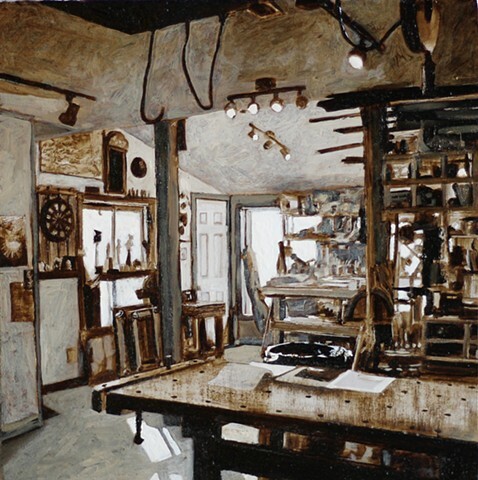 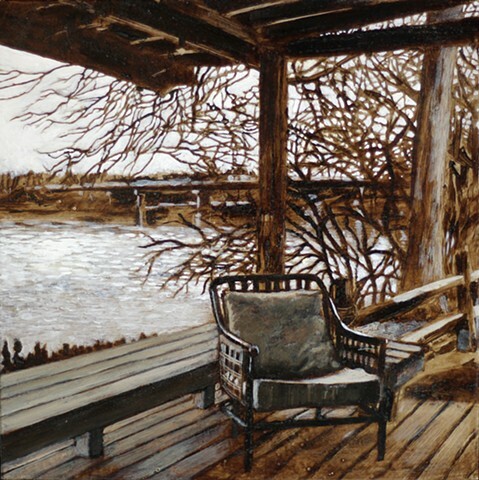 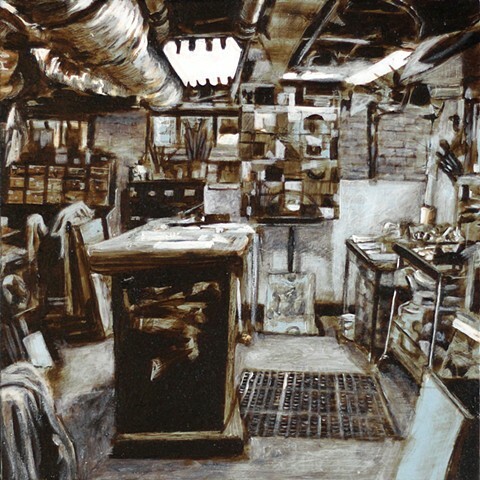 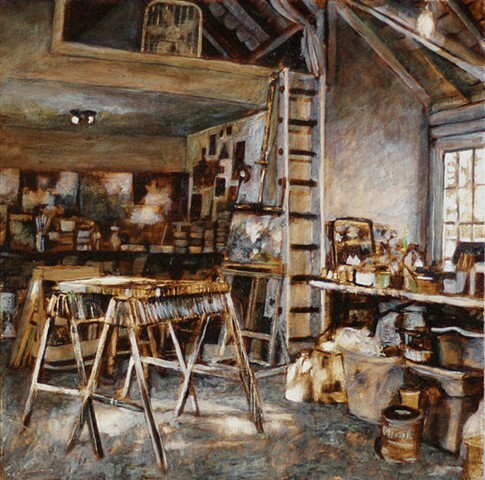 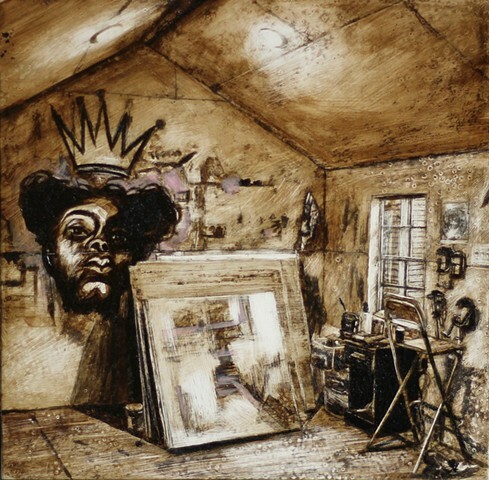 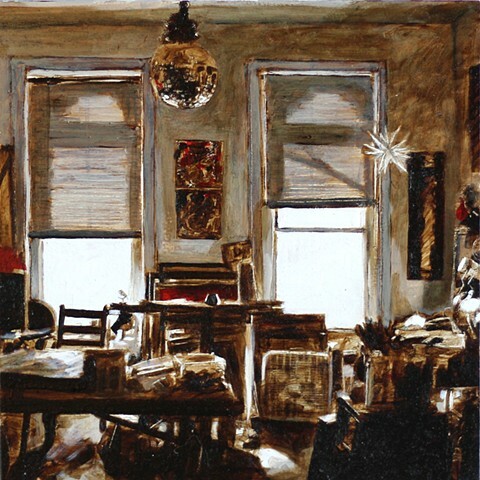 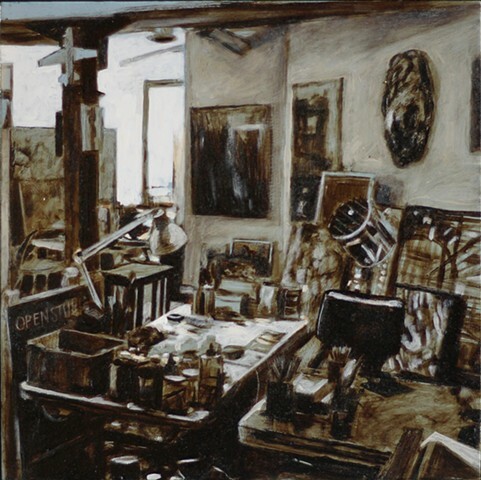 The artists’ studios that I’ve depicted in the collection for Destructive Distillation are the work spaces of some of the people who have helped me in one way or another during my career. 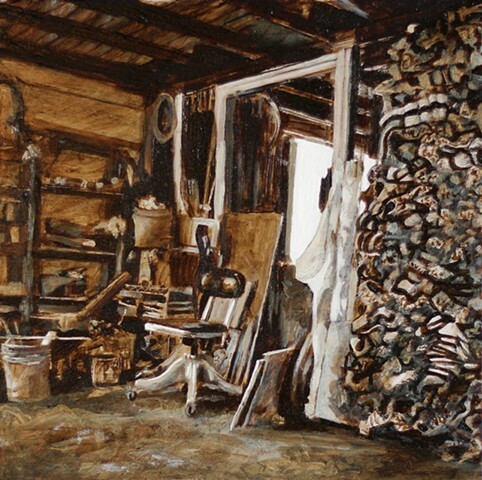 Thanks to all of the incredible artists who allowed me to visit their studios.